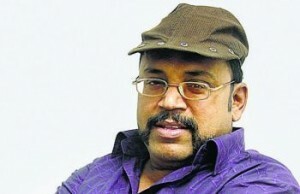 Actor Thambi Ramaiah in Mani Ratnam Film. Mani Ratnam has roped in another versatile actor for his upcoming film ‘Pookkadai’ and he is none other than the National Award winning actor Thambi Ramaiah, who impressed everyone with his stupendous performance in critically acclaimed ‘Mynaa’. The renowned director wanted an actor who can handle both comedy and serious situation with a character that is created and is very crucial in the film, and no one but Thambi Ramaiah came to his mind and he is onboard in the film now. ‘Pookkadai’ has a big lineup of artists including yesteryear hero Karthik’s son Gautham as hero, Samantha as female lead, Arjun, Pasupathy, Lakshmi Manchu and Arvindasamy. Music is by A R Rahman and camera is handled by Rajeev Menon. 0 comments for "Actor Thambi Ramaiah in Mani Ratnam Film"